The only Auto Mechanic you can trust! 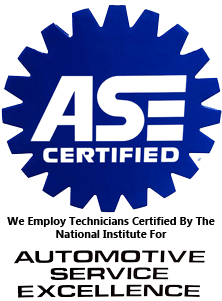 At Hughes Motors Corp in Yonkers NY our Mechanics are all ASE Certified. Our local shop is the affordable way to repair your car quickly and affordably. Our auto repair mechanics will always diagnose, identify, and repair your car troubles right the first time. Every year cars and vehicles become more advanced. That is why we at Hughes Motors Corporation advance with it. We are constantly training, improving, and upgrading our tools and equipment. 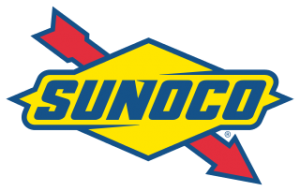 Our Auto Repair Shop in Yonkers NY we offer NYS DMV Certified Emissions Inspections, Wheel Alignments, Wheel Balancing, Transmission Repair, Brake Repair, Oil Changes, Auto Glass Repair, Auto Body Work, and all other Car Repair services. Our auto repair shop is fully equipped with all the modern tools, and most up to date factory dealer automotive diagnostic equipment. Many of us live dependent of our car since they are our lifeline to the world. As mechanics and car owners ourselves we understand the investment you have made in your vehicle. That is why we are always here to help you protect it. There is nothing more than we love more in the world is to see our customers happy. We will work with you every step of the way to make sure you and your car receive the help you need. Why Are We The Best Auto Repair in Yonkers? Year after year, our customers trust us with their Car Repairs because we are always there for them. Especially when they need us most. Whether, you just need a New York State Inspection and Emissions Sticker, have complete engine failure, or need a Wheel and Tire Alignment. Our mechanics are prepared so you don’t have to be. We strive to be the best Auto Repair in Yonkers NY and as a result our clients constantly give us 5 Star Ratings. When you walk through our doors we will always treat you and your car with the respect you deserve, because we follow one Golden Rule, “Treat other’s as you would like to be treated.” Once you are one of our Auto Repair Customers you and your vehicle will join our family of confident drivers and you will always know you’re in good hands under our Peace of Mind Warranty. We honor and service all enterprise fleet vehicles, and insurance claims at our Auto Repair Shop in Yonkers NY.